This is the traditional, slotted Sunray pattern found on most Dobro-style resonator guitars-old and new. 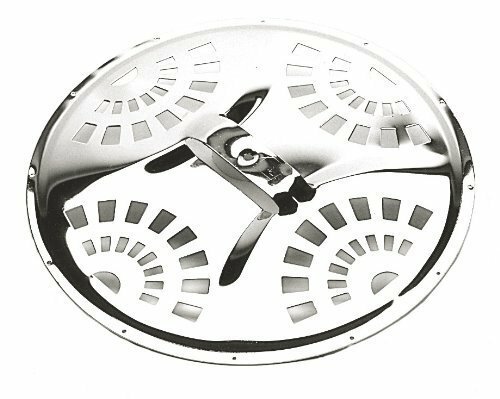 Made of brass and brightly nickel-plated, this authentic cover plate is perfect for restoration work as well as new instruments. Fits guitars with the standard 10-1/2-inch resonator cone.